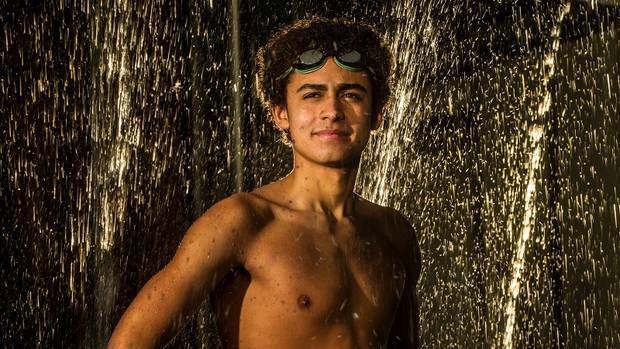 The hours and hours of training have paid off for Rotorua swimmer Josh Balmer, who has been selected to represent New Zealand for the first time. In October the 14-year-old Swim Rotorua member will compete at the Canberra State Championships in Australia. "It's my first time representing New Zealand, it's so exciting. It was definitely something I was aiming for. You have to do quite well in the New Zealand Long Course Championships [to be selected for the New Zealand team]. I won gold in the 1500m freestyle and bronze in the 200m and 400m freestyle. "I play water polo as well so I'm kind of having to choose between both. I'm leaning more towards swimming now that I have the opportunity to represent New Zealand," Balmer said. The aspect he was most looking forward to about the trip was going up against the Australian swimmers. "They're really fast, so it will be cool to have a good battle with them. It's definitely going to be eye-opening. Wearing the fern is going to be amazing." Balmer started swimming lessons when he was 10 and, as a naturally competitive person, racing was the logical progression. "I was kind of always a water baby and my dad decided to take me to swimming lessons one day - I've loved it ever since. "Swim Rotorua have helped me so much. I hadn't even swum the 1500m until a week before nationals and [head coach Alastair Johnson] has really helped me with my technique and getting into long-distance races." Johnson said he was "delighted" for Balmer. "I'm really pleased for him because he is quite a conscientious trainer and he's very consistent in what he does. He's been chipping away for a while. "When he raced at the long-course nationals back in April, that was a big breakthrough for him. I was very confident he would do well and it was nice to see him fulfil those expectations. "A lot of people who do the 1500m freestyle, it's something they like doing. Josh is just really finding his feet in terms of developing the classic skills you need to have for those events," Johnson said. He said one of Balmer's greatest assets was his consistency. "One thing he's very good on is his pacing, he's very consistent. His splits were very steady at the nationals and I think he has a natural flair for the 1500m, but it's an event he's only picked up recently. "These championships will be a great experience for him. He's been working well since he was announced in the team, it's a good confidence boost for him."